Oppo R17 Pro and R17 have been launched in India. Oppo R17 Pro is a premium mid-range device that has an edge-to-edge display, triple rear cameras and in-display fingerprint sensor. Oppo R17 Pro price in India is Rs 45,990. The phones are exclusive to Amazon India and pre-orders for R17 Pro have begun from 9.30pm IST on December 4. 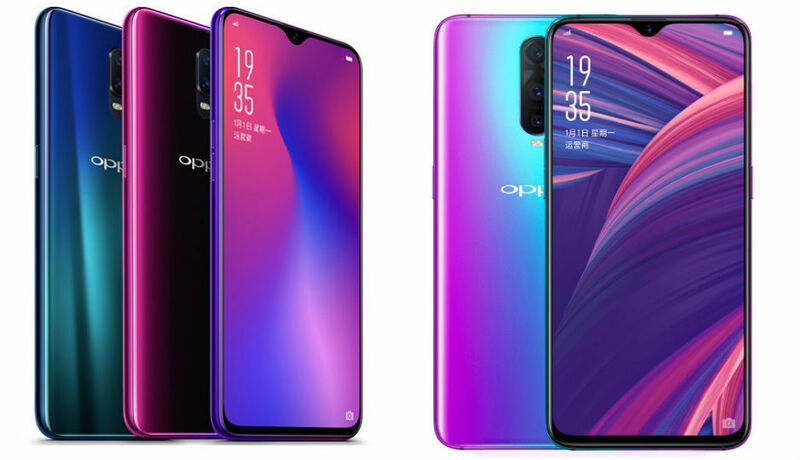 Oppo R17 Pro was launched in China in August this year. The dual-SIM (Nano) Oppo R17 Pro runs ColorOS 5.2 on top of Android 8.1 Oreo out-of-the-box. It sports a 6.4-inch full-HD+ (1080×2340 pixels) AMOLED on-cell panel with a 19.5:9 aspect ratio and 16 million colors. The handset is powered by an octa-core Qualcomm Snapdragon 710 SoC, coupled with an Adreno 616 GPU, 6GB/ 8GB of RAM, and 128GB of inbuilt storage. In the camera department, the Oppo R17 Pro sports a triple rear camera setup with a 12-megapixel primary sensor (variable aperture of f/1.5-2.4) and a 20-megapixel secondary sensor (f/2.6 aperture), coupled with an LED flash. The third sensor is a TOF 3D stereo camera. On the front, the handset bears a 25-megapixel selfie camera with f/2.0 aperture. There is a 3,650mAh battery under the hood, with support for Oppo’s Super VOOC charging. Oppo R17 is a shredded variant of R17 Pro that has dual rear cameras and Snapdragon 670 processor. All other specifications are the same as Oppo R17 Pro including a 6.4-inch FHD+ display, in-display fingerprint sensor, 25MP front camera, and 8GB RAM and 128GB storage. The difference lies in the dual rear camera configuration, that is a combination of 16MP primary camera and a 5MP secondary camera. Oppo R17 Pro will cost Rs 45,990 for 8GB RAM and 128GB storage model. The phone will be available in two color options Mist and Green. It can be pre-ordered from Amazon and Oppo India’s official website. The sale for Oppo R17 Pro begins December 7. Oppo R17 is priced at Rs 34,990. Oppo R17 Pro is also listed with several launch offers which include extra Rs 2,000 off on exchange, one-time screen replacement, and no cost EMI. Reliance Jio is offering up to 3.2TB 4G data along with benefits up to Rs 4,900. Why should you buy the phone for? The Oppo R17 Pro is definitely a performance beast in the mid-range devices. It has the well-built configuration, great cameras, a display that will make it suitable for an all-around performance. On top of that the massive internal storage will be enough for users, hence they can use the hybrid slot for a dual connection as well. It also comes with a fast charging feature. However, it is quite a big smartphone which one may not find comfortable carrying at all. In simple words, it’s a little on the bulkier side.